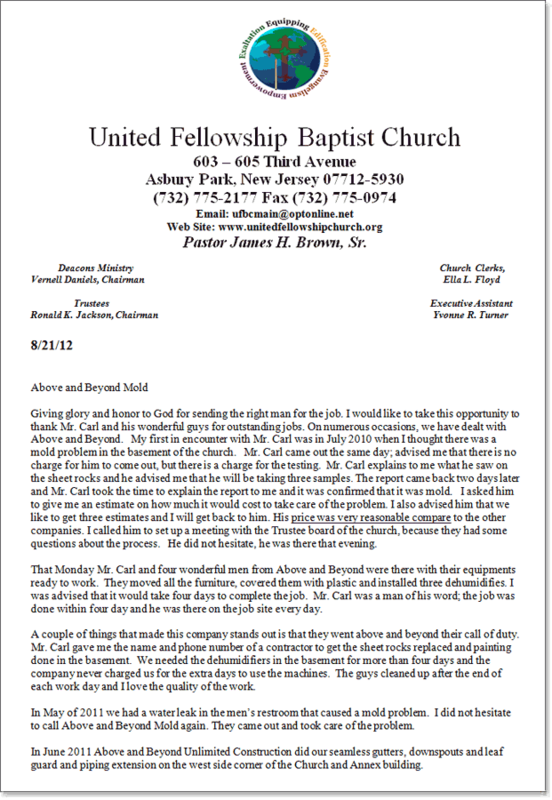 Unbiased REAL Customers' Testimonials - Above & Beyond U.C. 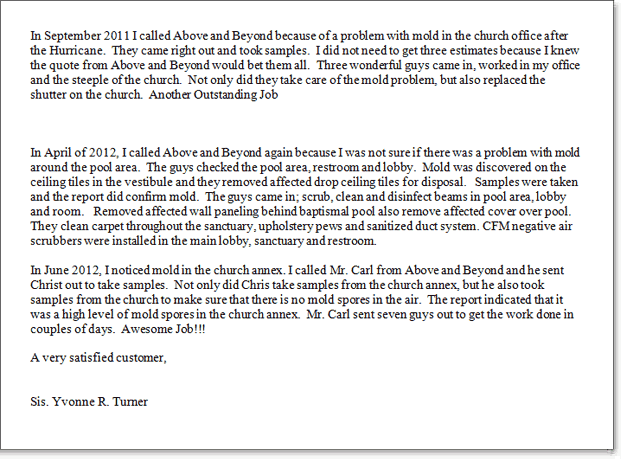 Here is what customers are saying about Above & Beyond Unlimited cleaning. All of the testimonials below are just a selected few and from real people. 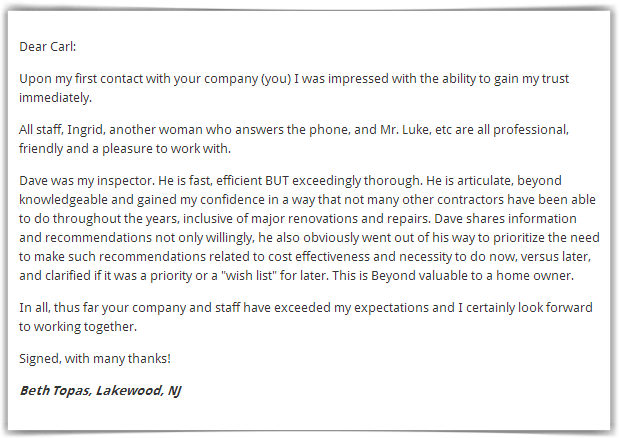 To request more testimonials and referrals, please call us today at (267)202-5188 or use the form below. 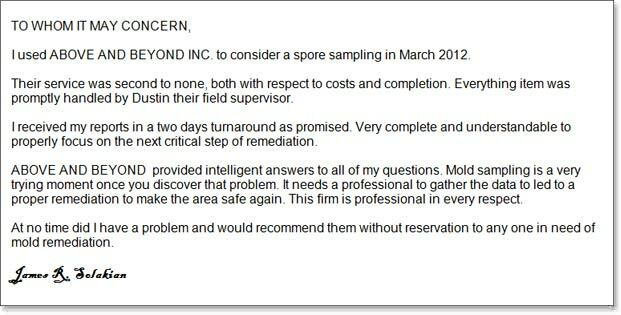 I want you to know that you have an exceptional employee, Carl Bennett, in your mold inspection division. His calm, patient manner was a great help to me when my frustration was at an all-time high. 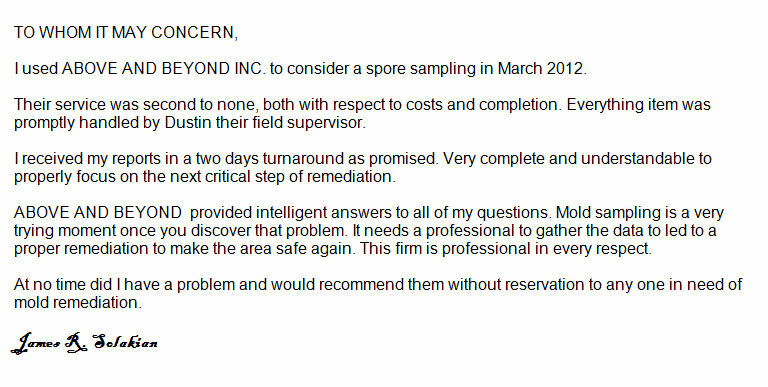 His knowledge of mold, air quality and remediation was impressive and educational. He was courteous and friendly as he investigated the office and answered all of our questions. Carl Bennett is an asset to your organization and service. 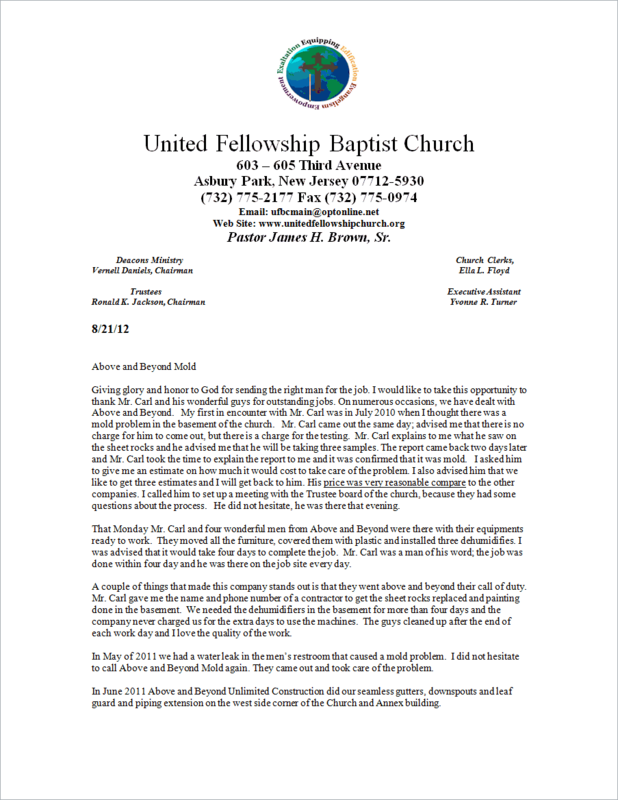 Please convey our thanks to Carl Bennett for his diligence and professionalism. I'm writing this to extend the most heartfelt thank you to Above & Beyond. They truly came through for us in when we needed them most. In March of 2009 we experienced flooding in our basement that left our entire basement in ruin. Our insurance company wanted us to keep things as is until they could come and assess the damage, which resulted in water being down there for over a week. In that time-frame a severe mold problem developed. Luckily, we called Carl at Above and Beyond. They were professional, timely, and fairly priced. 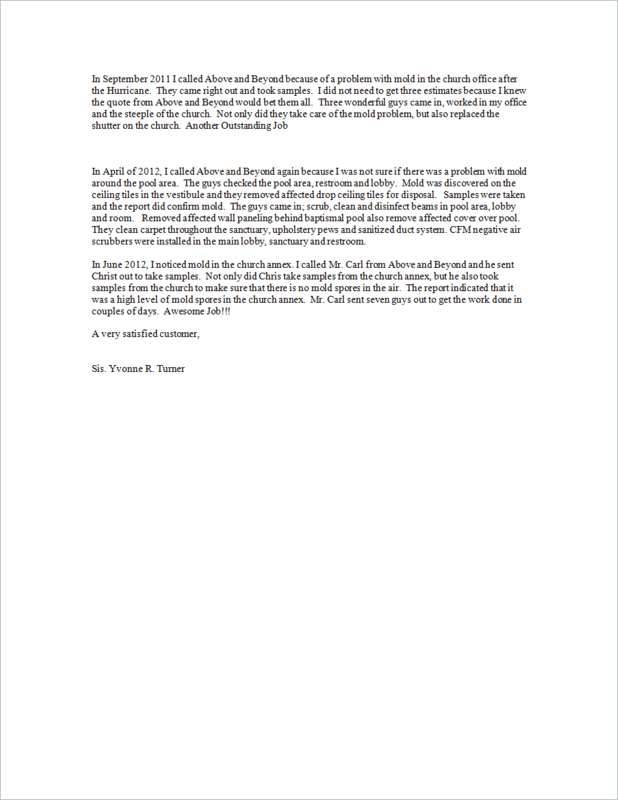 They assured us that our mold problem would be remediated, and even after completion of the remediation process they came once again to retest and make sure the mold levels in our house were back to normal. Moreover, they were with us every step of the way, discussing with us, and giving us their honest opinion as to what we should do to get our house back to a safe level. In all honesty, it was like working with a close friend and not a company. N. Michael Repie III - A very satisfied customer. Need our services? Call now for free consultation @ (267)202-5188 or visit contact us page. EXPERT MOLD SERVICES IN THESE PA COUNTIES: Bucks County, Chester County, Philadelphia County, Montgomery County, Delaware County AS WELL AS THESE NJ COUNTIES: Mercer County, Hunterdon County, Union County, Warren County.